And which is best for you? At the heart of this topic are two issues: being able to see whatever you want to see online, and being able to do that safely, privately, or both. There are three known services that can help you do that—something called "Tor," a proxy-server service, and a VPN. Each allows you to view content while concealing your computer's IP address...its digital identity. But they are definitely different from one another, not all are easy to use, and they are certainly not all worry-free. You need to know the facts about Tor, proxies and VPNs before you think about jumping right in and giving it a go. There's a lot to know...and plenty to risk. Tor does provide anonymity, because your Internet activity is routed through thousands of dedicated Tor servers around the world, making it hard for anyone to trace activity back to your computer. 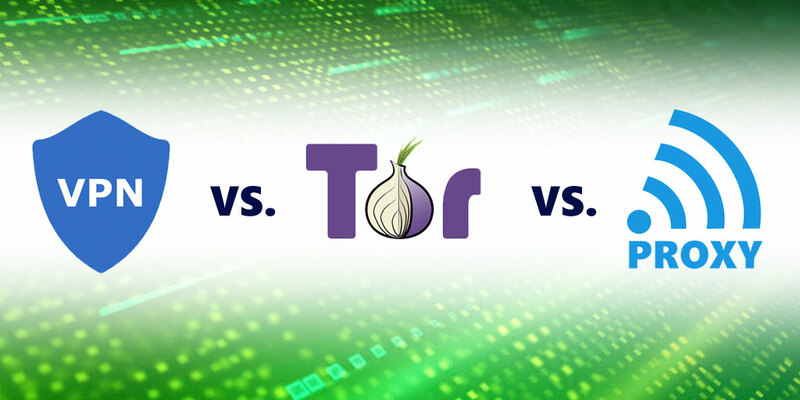 The Tor network, however, does not take extra measures to protect your data from hackers. It just routes your data so it's more or less untraceable. Tor is also somewhat complicated. It's a multi-step process to download and then go exploring. You'll need to watch a few tutorials to get going. Tor is essentially a whole other world of Internet usage, below the surface of what you see every day on Google and Yahoo. It's not for grandma. It's also not for your kids. A proxy is an online service you can find on the Internet that allows you to visit a website while disguising your actual IP address, which is the electronic identity of your computer. Websites sometimes block users by their IP address—a proxy gets around that. Advertisers, website administrators and those who "track" IP addresses (for various reasons) would not be able to see or track yours. The word "proxy" means a substitute or stand-in: A proxy substitutes your IP address with one of theirs. With a little exploring, you'll find that proxies aren't that popular today and aren't recommended or promoted for either security purposes or anonymous Web browsing. A proxy isn't easy to set up. There is some configuring to do to make it work, and there are a lot of options to choose from. It's work. You can set up a proxy to watch content that would otherwise be blocked because of your location, which your IP address would reveal. Sports fans can use a proxy to watch games online and get around blackouts. There are free proxies...but there are also disreputable ones. In other words, some free proxies can't be trusted. It's worrisome to hear Web experts telling you to be careful when choosing a proxy and to "find one you can trust"...without saying how to do that. A proxy connection works for just one website at a time; therefore, it doesn't hide your IP address from all websites—just the one you want to trick by using a proxy. A VPN (virtual private network) is another type of online service that you can find on the Internet. (Check out our VPN comparison page after you read this article.) Once you pick a VPN provider/service and set up an account, you can use your VPN account every time you go online—from anywhere—and visit websites without the worry of being hacked. With a VPN account, your Internet browsing experience is identical to what it always is. You simply have your activity tunneling through the VPN's network of servers around the country or around the world. When using your VPN account, your real IP address is always hidden. Your IP address cannot be blocked, traced or tracked. A VPN doesn't replace your Internet Service Provider. It works with your ISP and the Internet by creating a special tunnel in which your data travels safely. A VPN is essentially a data network inside another network (the Internet) that hackers can't get to. There are free VPN options and there are plans that you pay for. 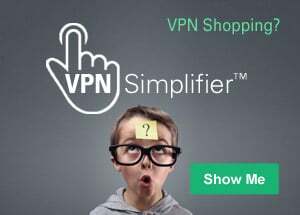 Sometimes they're even offered by the same VPN provider. You get more (more protection, more services) when you're willing to pay. A full-power VPN costs anywhere from a few dollars to $10 a month for a yearly plan. Here is a list of VPN providers. There are free VPNs...But as you've probably learned in the past, some things that don't cost you up front may end up costing you in other ways. Tor, VPN, proxy...which one is for you? Of all the ways to protect your identity, your family, your data and your computer online, Tor may be the the poorest choice for the typical computer user simply looking for anonymity and security. Proxies might do the trick, but a good proxy may be hard to fine, tricky to configure and may not even keep your IP address secure. A personal VPN account with a good provider (and they're easy to find) will work everywhere, without fail, and provide the best level of protection at home, on the road and whenever you're using a free wireless hotspot. That's probably exactly what you're looking for.